I wanted to do a giveaway when I hit a certain number of followers and I was thinking if 30 or 50 would be possible cos despite blogging for a very long time, I only revamped my blog recently (3 weeks ago) after getting all my thoughts focused. To my surprise, I have over 50 followers, THANK YOU! I have always been uploading and sharing my fashion styles, likings and foodie joints on Facebook with my friends but since I have been sharing them on my blog now, I have never felt happier for I get to meet many new friends. To be honest, you guys gave me the motivation to blog and share more when I see you liking, following and commenting on my posts. I cannot thank you enough for all the love you gave me and that is why I decided to have this THANK YOU GIVEAWAY. One of the hottest trends in making that bold statement with your accessories are mixing and matching them together. A simple outfit can become glamorous with the addition of some accessories. I bought some in Bangkok and have taken the liberty to mix and match them for you. I hope you will like it. Be a subscriber to modgam.wordpress.com via Email or by following me. Remember to leave your email so that I will be able to contact you. Three winners will be selected randomly from the comments below on 20th May. So the closing date is midnight, 19th May 2012. Any comments made after will not be eligible. The winner will be announced on the blog and contacted via Email on 20th May 2012.
noted Janice. thanks for participating too. Nice! I like number 1! Hi! I love the second one. The first one is really nice as well. But I’m gonna go with the secons one. Floral and perfect for spring! 3 please! All nice and black. Hi! I like the 1st and the 3rd one and I pick the 1st. Thank you for organising this. Kisses. 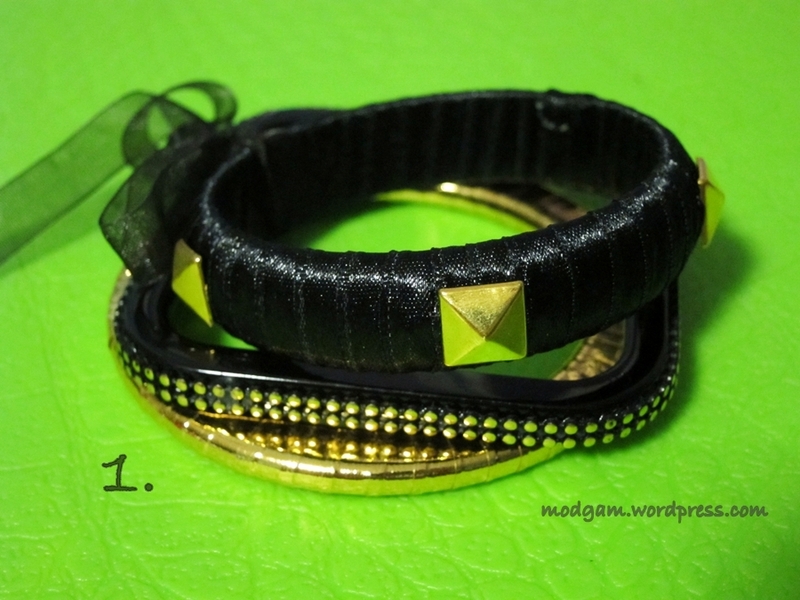 I love the number 1, with summer tan (when we get one) the gold hinted bangles would go fab. cool, good thinking! Thanks for participating Shilpa. a gentle reminder Shilpa, in order to qualify for this giveaway, you need to Be a subscriber to modgam.wordpress.com via Email or by following me. thank you for participating. a gentle reminder Natalie, in order to qualify for this giveaway, you need to Be a subscriber to modgam.wordpress.com via Email or by following me. thank you for participating. a gentle reminder everyone, in order to qualify for this giveaway, you need to Be a subscriber to modgam.wordpress.com via Email or by following me. thank you. I love 2 :). Quick question: Is it international? I am from somewhere in Europe. Are you still doing the giveaway? I love the 1st one 🙂 by the way I think your blog is absolutely amazing!! I would love to have item#2 🙂 Simply lovely! 1. Be a subscriber to modgam.wordpress.com via Email or by following me. 3. Remember to leave your email so that I will be able to contact you. Hi unicorn style, thanks soooo much for participating. stay in touch. 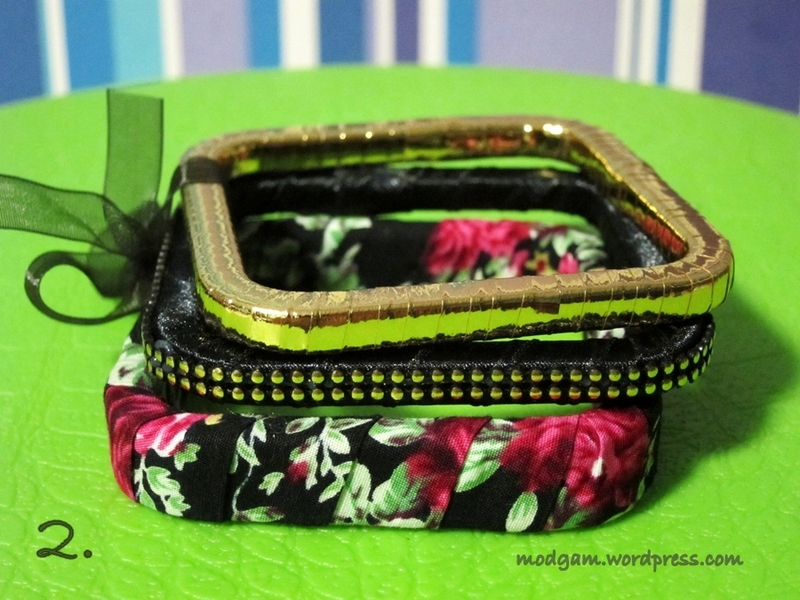 love that floral printed one and also that squared shapes of them !!! Hi Jaime, please remember to subscribe to my blog to qualify for this entry. thanks for participating. Hi. 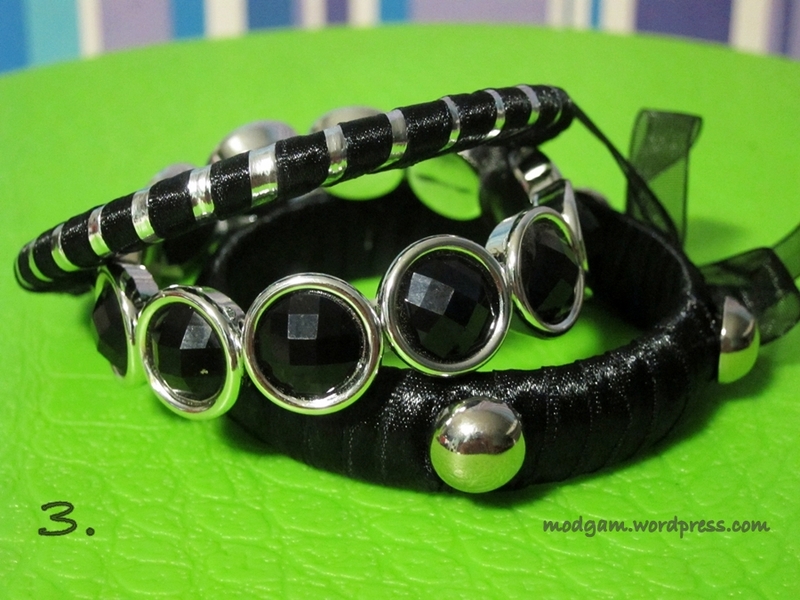 Lovely bangles. I like number 2! Thanks. Hi Pink9876pumps, please remember to subscribe to this blog in order to qualify. thanks for participating. Hi Nicola, please remember to subscribe to this blog in order to qualify. thanks for participating. thanks rubiahn, please remember to subscribe to my blog to qualify for this. Hi Laura, please remember to subscribe to my blog to qualify for this giveaway. Thanks for participating.